INTERSTELLAR RODEO YEG + WPG SINGLE DAY TICKETS ON SALE NOW. The day by day lineups have been released for both Interstellar Rodeo Edmonton and Winnipeg. Purchase tickets for the Edmonton festival here. 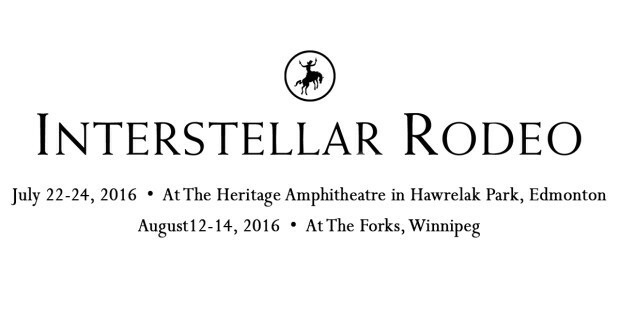 Buy tickets to Interstellar Rodeo Winnipeg here. https://sixshooterrecords.com/2011/wp-content/uploads/2017/11/17-ssr-logo-home.png 0 0 Sarah https://sixshooterrecords.com/2011/wp-content/uploads/2017/11/17-ssr-logo-home.png Sarah2016-05-19 14:40:112016-07-22 17:15:33INTERSTELLAR RODEO YEG + WPG SINGLE DAY TICKETS ON SALE NOW. SAM OUTLAW CROSSES OVER FOR ATLANTIC-SIDE SHOWS THIS JUNE. SAM OUTLAW’S LIVE SESSION + INTERVIEW AT BBC RADIO SCOTTLAND.